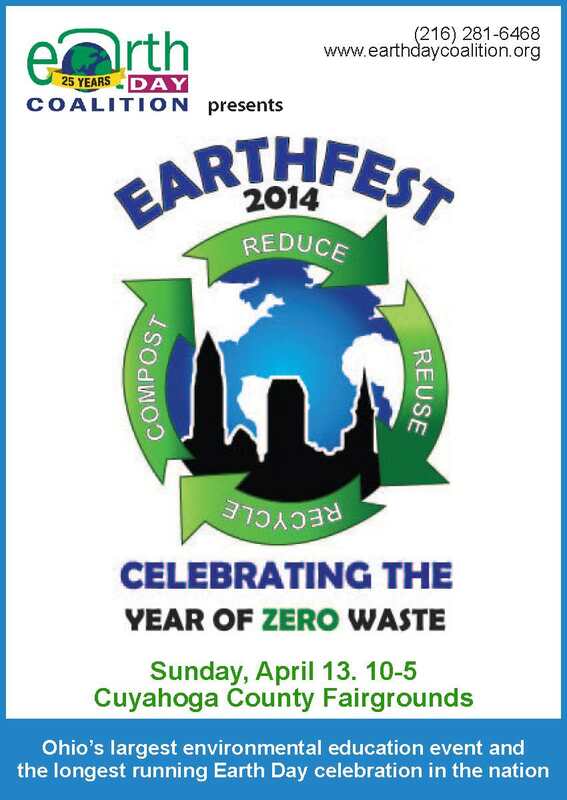 Celebrate EarthFest 2014 this Sunday! Here’s a late post for Transformation Tuesday. Our apologies for the delay, but we had technical difficulties yesterday. Cleveland Public Power will join the Earth Day Coalition as it celebrates its 25th Annual EarthFest Sunday, April 13 at the Cuyahoga County Fairgrounds from 10 a.m. until 5 p.m. The theme for this year’s celebration is Zero Waste, in partnership with the City of Cleveland’s Sustainability 2019 declaration of 2014 as the “Year of Zero Waste”. As the City owned electric utility, Cleveland Public Power will be on hand to educate consumers on ways they can reduce energy costs and to promote the utility’s sustainable efforts. CPP is pursuing advanced energy concepts to help reduce the City of Cleveland’s carbon footprint and reach advanced energy source goals established by Mayor Frank G. Jackson. One of the projects CPP has initiated or partnered in to achieve these goals includes the installation of Solar Photovoltaic Arrays at Cleveland’s Rockefeller Greenhouse. These arrays seek out the sun’s rays and convert them into energy that is utilized to help reduce costs at the Greenhouse. Presented and organized by Earth Day Coalition since 1990, EarthFest is Ohio’s largest environmental education event and the longest running Earth Day celebration in the nation. To learn more about CPP visit http://www.cpp.org.